New Delhi: The chances of using artificial rain to reduce pollution may not be possible in the near future due to unfavourable meteorological conditions and pending clearance to fly an aircraft for cloud seeding, an IIT Kanpur professor working on project said Tuesday. Delhi's air quality showed a deteriorating trend from Monday and is presently in the "very poor" category. Authorities have been mulling to use artificial rain as a solution to clear the pollution but clouds having sufficient water content that is required for inducing artificial rain are not currently available, a senior India Meteorological Department (IMD) official said. The other issue is getting clearance to fly the aircraft that will carry out cloud seeding. The scientists at IIT Kanpur have made all preparations to induce artificial rain in the national capital to mitigate the hazardous health situation caused by the pollution crisis. An IIT Kanpur professor who is working on the project said other than the availability of clouds with required water content for inducing artificial rainfall, they are also waiting for clearance from the Directorate General of Civil Aviation (DGCA) to fly the aircraft that will be used for cloud seeding. Cloud seeding is the process of combining different kinds of chemical agents, including silver iodide, dry ice and even common salt, with existing clouds in an effort to thicken them and increase the chances of rainfall. The process also involves changing the amount and type of precipitation that falls from clouds by dispersing substances (mostly salts) into the air. The dispersion is done from an aircraft. While IIT Kanpur is supporting the plan of the Central Pollution Control Board (CPCB) to induce artificial rain by providing the salt mix and other logistical support, a group of students at IIT Delhi are also helping the weathermen in monitoring conditions to become favourable for creating the artificial rain. 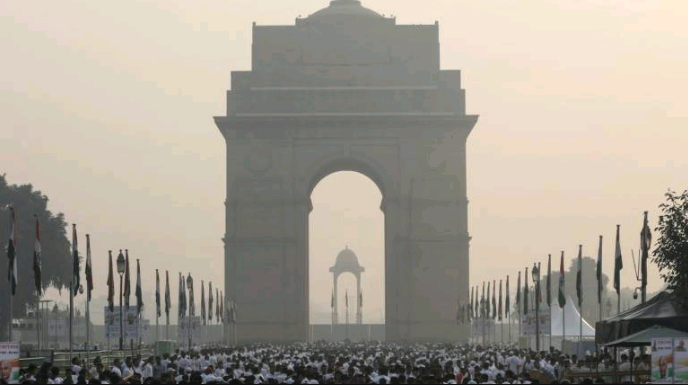 Delhi's air quality has deteriorated to alarming levels in the past three weeks while the overall air quality in the national capital was in the "very poor" category on Tuesday, with some areas in the city experiencing "severe" pollution.